A Delray Beach developer is moving forward with plans to breathe new life into the shuttered historic Gulfstream Hotel in Lake Worth, which first opened in December 1924. The initial phase, slated to cost about $35 million, will also include a small addition to the historic property that will house its pool deck and a new kitchen for an expanded restaurant and operational functions for the hotel. The elevated pool deck will sport an ocean view infinity edge pool. 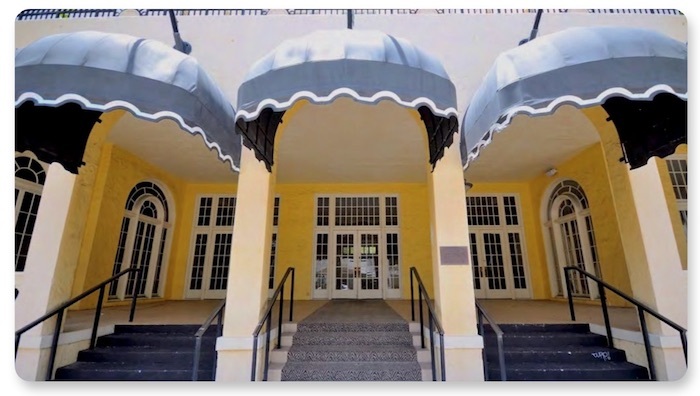 Hudson Holdings, which specializes in the restoration and redevelopment of historic properties nationally, purchased the Gulfstream Hotel a few years ago with a vision of returning it to its past glory of dining, dancing and socialite gatherings. The six story hotel was listed on the National Register of Historic Places in 1983. Hudson’s current plans call for a two phase project. The first would restore the original hotel into a new 90 room property with modern amenities while honoring its historic design and structural elements. The new hotel will feature a wine and spirits tasting room and restaurant on the first floor, as well as meeting rooms, and a stylish rooftop bar and lounge. The initial phase, slated to cost about $35 million, will also include a small addition to the historic property that will house its pool deck and a new kitchen for an expanded restaurant and operational functions for the hotel. The elevated pool deck will sport an ocean view infinity edge pool. The project received a shot in the arm recently after a court denied an appeal by some Lake Worth residents who had objected to the height of Hudson’s new 65foot hotel annex. The recent appointment in March of two more pro investment city commissioners also encouraged Hudson to move forward after briefly contemplating a possible sale of the property, Michael said. With its site plan approved for the renovation of the historic hotel, Hudson is estimating it’ll begin construction by this fall on the main building following completion of construction drawings and the finalization of its construction loan, Michael said. Once work begins, the project is expected to take about 12 months to complete. For the second phase, a new U-shaped hotel annex with 90 guest rooms and a three deck, 200space parking garage will be built at a cost of about $45 million, Michael said. In its heyday, the luxury Gulfstream hotel was a meeting and gathering hot spot for socialites from Palm Beach, Lake Worth and others around the community to hang out and enjoy its vibrant restaurant and rooftop dance club, Michael said. “We’re bringing back that vibrancy to the hotel, which in turn brings back vibrancy to the downtown district,” said Michael. 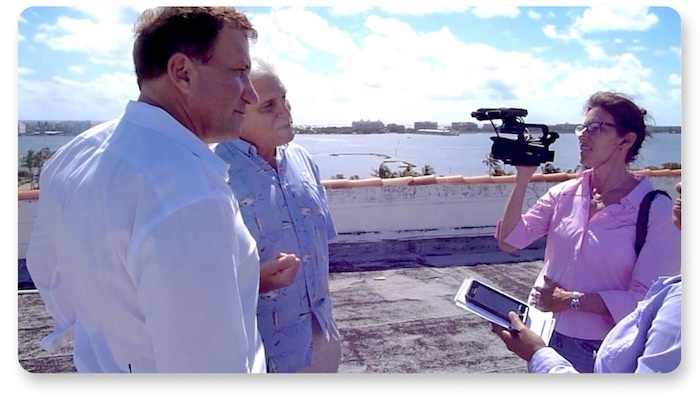 “Lake Worth has tremendous, tremendous potential… [it’s] a sleeping giant. Once this is renovated and this is vibrant again, it will be the catalyst to really bring more investors and development into downtown Lake Worth. Others are eager for the Gulfstream’s rebirth. 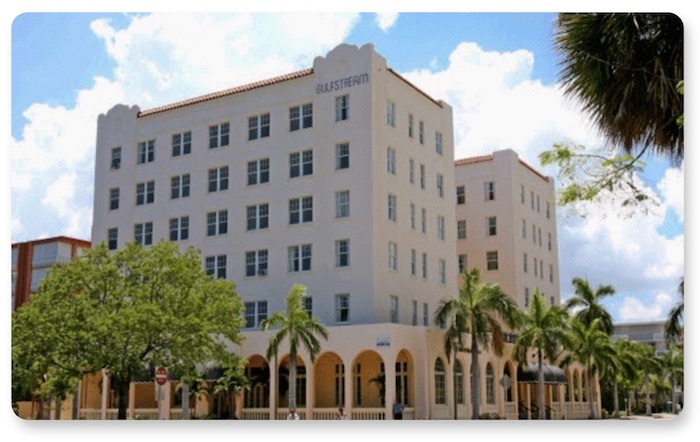 “I think it’s wonderful to see the hotel finally come alive again and get the redevelopment here,” said Jim Tebbe, president of the Gulfstream of Lake Worth Condominium Association, the hotel’s closest neighbor. “I’ve actually stayed in this hotel as a guest in the ‘80s and had many good evenings at the restaurant and bar they had here.” The hotel’s closure over the years had caused adjacent downtown community to become rundown, so Hudson’s revitalization plans are welcomed, Tebbe said. “We’re just very happy to see it progressing,” he said. “My true hope is that it will be very successful and be a place for people to come,” not only from the neighborhood but from around the world. Others are hopeful that the Gulfstream’s revitalization will mean an economic boost for the city. “The city has been looking at this for the last 10 or so years as an empty facility and we can’t wait for it to be revitalized and rejuvenated because it means so much to this city in terms of its economics,” said Scott Maxwell, Lake Worth’s vice mayor. “It brings the beach together with the downtown, provides a lot of jobs and the economic impact it’s going to have on the city is almost immeasurable.